Summary (from the back of the book): Running the Rift follows the life and progress of Jean Patrick Nkuba from the day he knows that running will be his life to the moment he must run to save his life. A naturally gifted athlete, he sprints over the thousand hills of Rwanda and dreams of becoming his country's first Olympic medal winner in Track. But Jean Patrick is a Tutsi in a world that has become increasingly restrictive and violent for his people. As tensions mount between the Hutu and the Tutsi, he holds fast to his dream that running might deliver him, and his people, from the brutality around them. This book won the Bellweather Prize for Socially Engaged Fiction. Review: I prepared myself for this book to be intense. It is, after all, about genocide. But, I also love a story of an underdog in sports who overcomes all odds to be successful so I was excited to begin this book. It turns out it took me longer to read than I expected. The first half went slowly for me, not because I didn't like it, but because... well, I am not completely sure why. 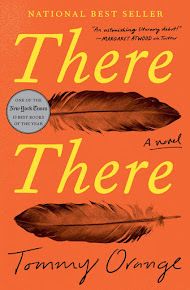 Perhaps I was savoring the story, perhaps I was adjusting to Rwanda having just read a book about Uganda, perhaps... perhaps I just read slowly. The author really did her research on this book and I enjoyed reading her acknowledgments and the discussion after I finished as I feel like they really added to my sense of where she was coming from and why she wrote this book. One of the things she said was that she wanted to make it clear that the Hutu slaughter of Tutsi didn't come out of nowhere, that it wasn't a sudden event, but rather it was decades in the making. By starting her story with Jean Patrick as a young boy, whose parents have memories of earlier attacks, she did this well. I also think the history of Rwanda, Burundi, the Hutu, and the Tutsi was explained well through the characters and their lives, helping the reader to understand better the issues facing the people of Rwanda. I really liked Jean Patrick as a narrator. He is intelligent, caring, thoughtful, and trusting, which allows him to befriend many different people, both Hutu and Tutsi, in all walks of life. And having him be a runner also allowed the character to go places others would not as he did his daily runs through both the city and countryside. As a famous runner with hopes of medaling at the Olympics, he is spared many, but not all, of the indignities experienced by other Tutsi in Rwanda. 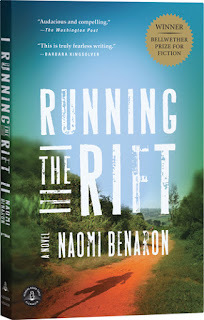 This is a book about a runner, but it is so much more. Running is merely the vehicle to tell the story of Jean Patrick and the people in his life. It would be so easy to hate the Hutu for what they did, but this book shows that life isn't that simple or obvious. Who are the "bad guys?" Often it is difficult to tell.